This control unit acts as a back-up alert system should you forget your phone with the Fobo app on. It has warning LEDs and buzzer to alert you, it also synchronises with your mobile phone. No wiring required simply insert batterys and fix. So stolen FOBO tyre sensors and In-Car unit cannot be reused. 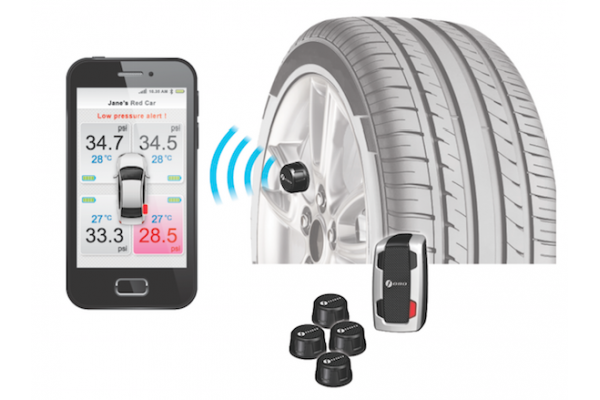 Each FOBO tyre is locked to a specific owner's FOBO cloud account. Furthermore, the package come with anti-theft nut and a small wrench to mechanically lock the sensors from being stolen. Replacement sensors will be available for purchase separately. 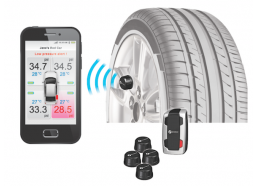 You will also be notified by the FOBO tyre app in the event any tyre sensor is missing.